At this year’s Steinexpo the construction equipment manufacturer showcases the A 924 Litronic wheeled excavator with the new concept with which the requirements of exhaust emissions stage IV / tier 4f are fulfilled. The machine has an operating weight from 21.5 to 26.5 tonnes and an engine power of 140kW / 190hp. 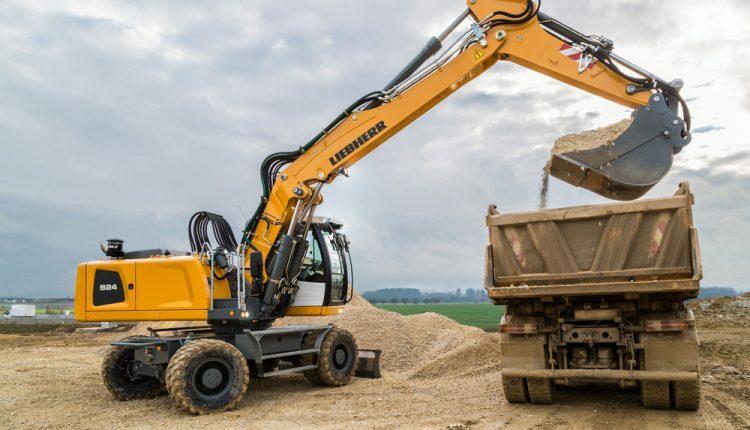 The A 924 Heavy Lift Litronic is the largest wheeled excavator built by Liebherr in series production. The wheeled excavator has an operating weight from 26.5 to 28.0 tonnes and an engine power of 160kW / 217hp.